January 25, 2015 April 17, 2019 - The 'Noms. 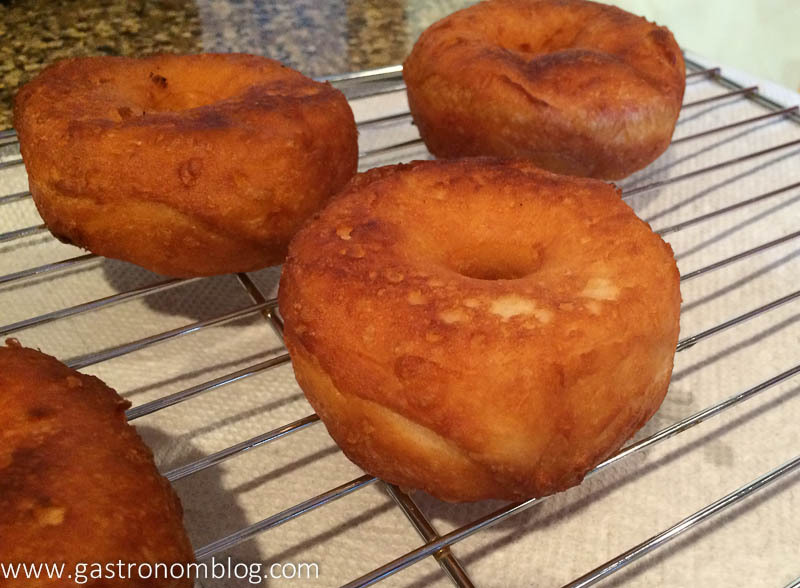 Easy peasy biscuit doughnuts that you can fry at home! 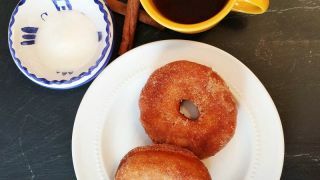 This is a quick recipe that makes some delicious biscuit doughnuts that are a quick and easy way to make something great for breakfast. 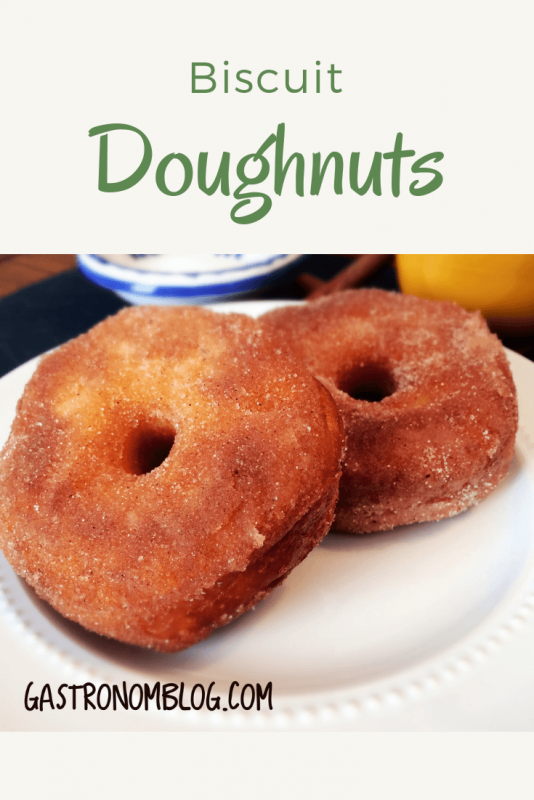 This recipe has been floating around Pinterest for a while, and with our kids asking for doughnuts for breakfast, we decided that we would give it a try! What Ingredients are Needed for Biscuit Doughnuts? 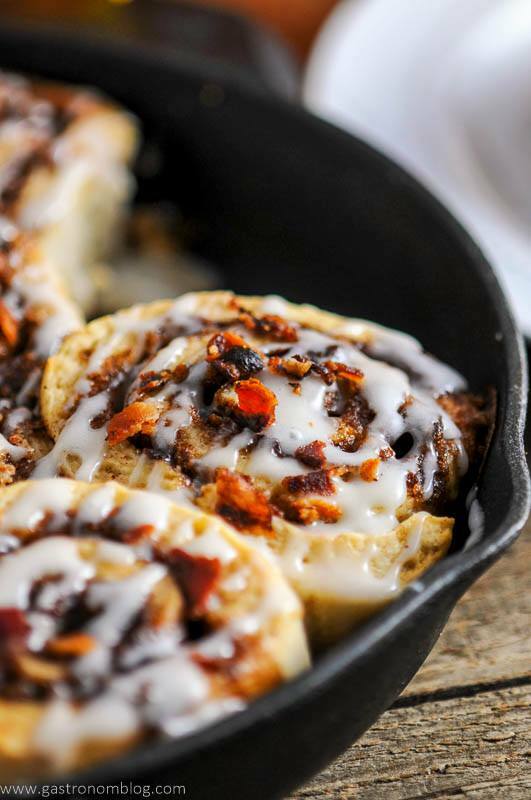 If You Want More Breakfast Posts, Try These! 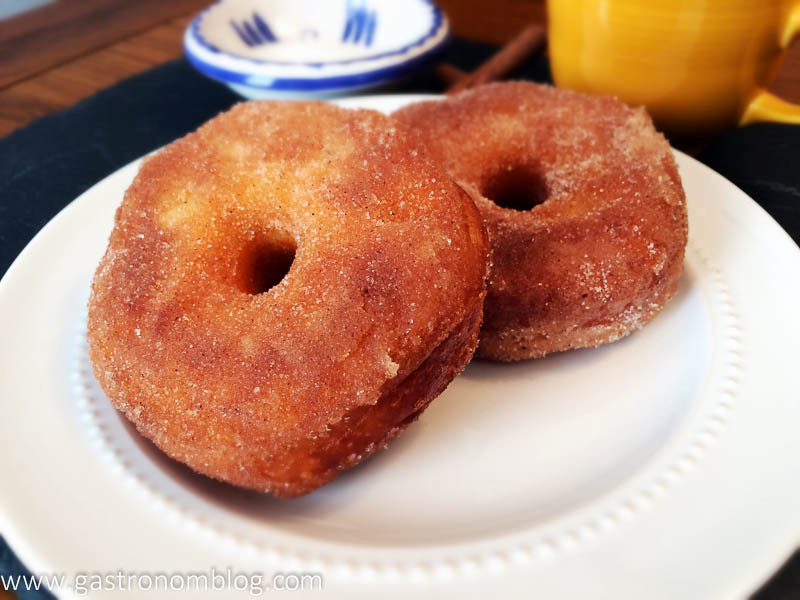 Easy doughnuts for breakfast or anytime, you just need a can of biscuits! 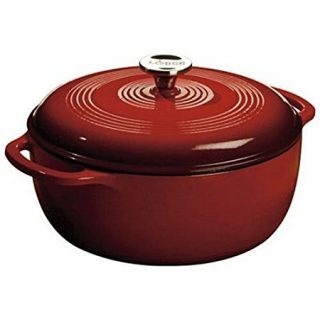 We used our Dutch oven, but a deep skillet would work as well. Fill pan up about 1/2 inch or so with oil. Heat up for a few minutes to 375°. While oil is heating, take biscuits out of cans and cut holes in the biscuit with a small cookie cutter or apple corer. 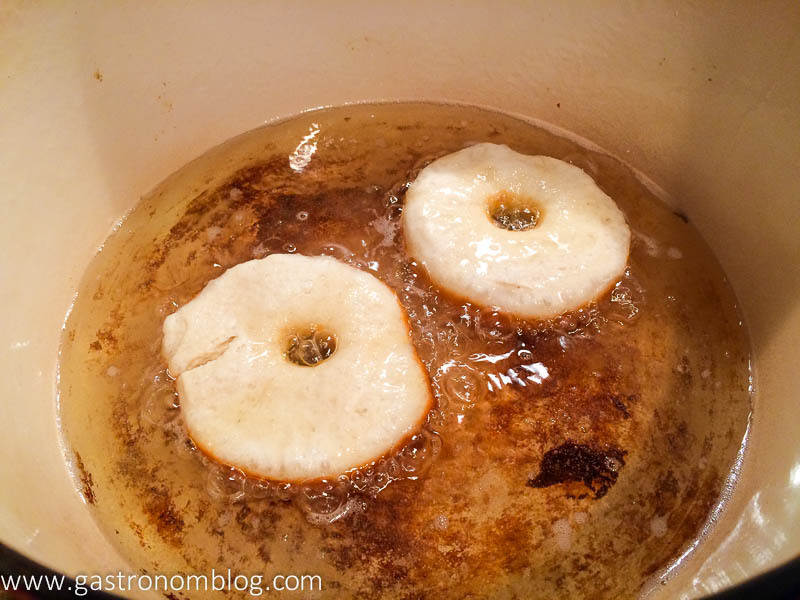 Place doughnuts in oil. (we recommend only 1-2 at a time). The first one might take a few seconds longer, but the majority of them will only take about 25-30 seconds per side. When they are golden brown, flip them and cook on the other side. 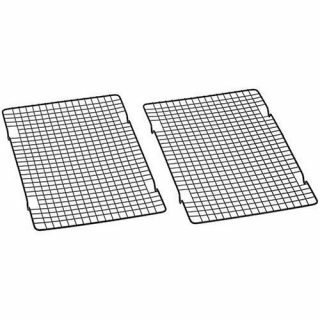 Place cooked doughnuts onto a cooling rack over a cookie sheet lined with a paper towel for them to drain. 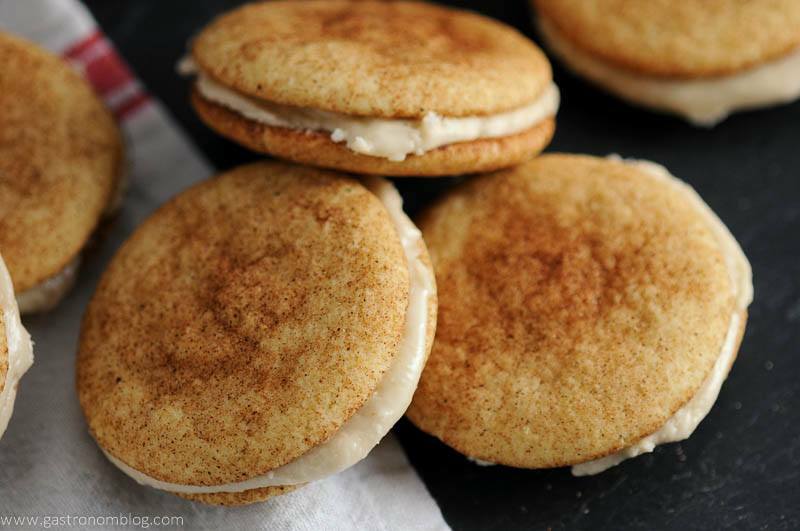 When they have cooled slightly, dip both sides in butter, then cinnamon sugar mixture. Place back on cooling rack for them to cool off. Don't use the flaky biscuits, they will just separate in the oil. 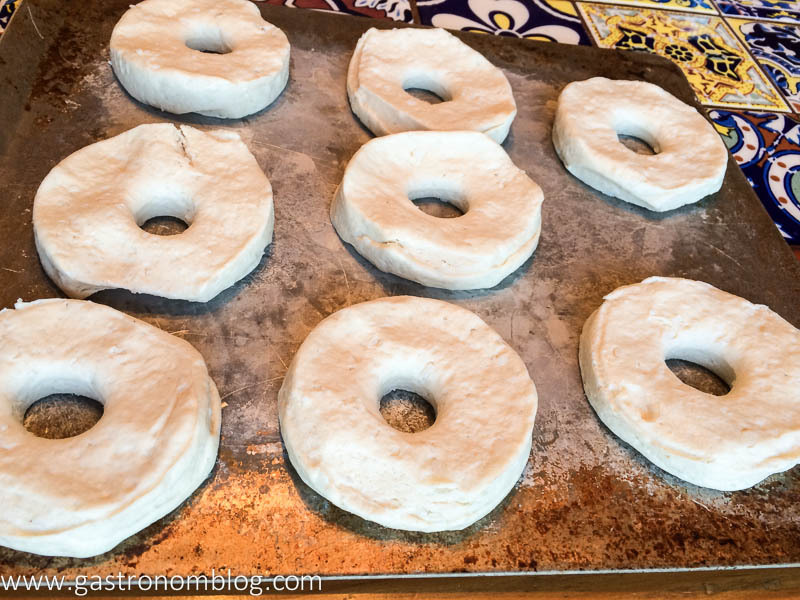 PIN THIS BISCUIT DOUGHNUT RECIPE FOR LATER! This are a hit at my house too. 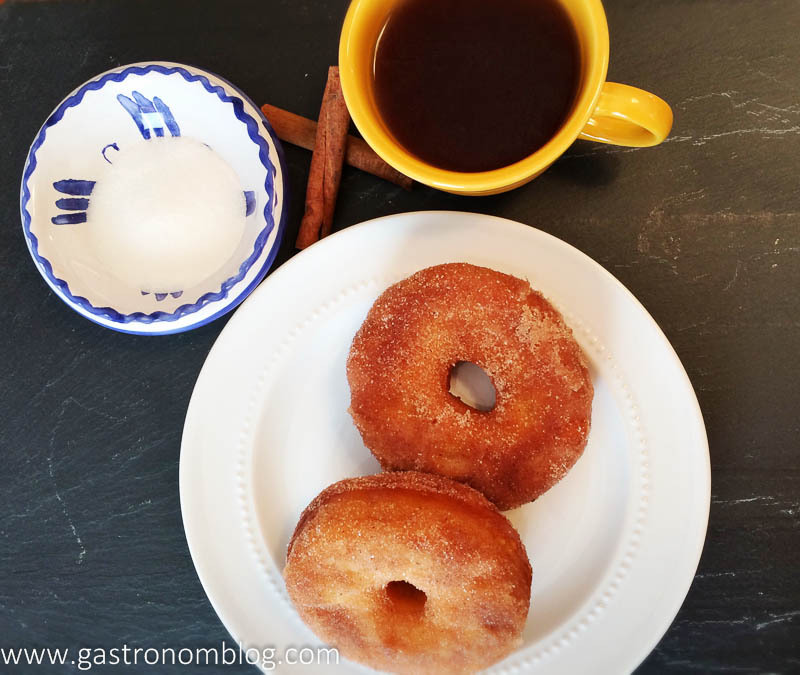 I call them fauxnuts 🙂 I think the biscuit doughnuts are best with cinnamon and sugar. Fauxnuts is a perfect name for these. The ones you had on instagram the other day looked pretty amazing!